Try to head off lengthy disputes. It is a good idea when you first move into a house to go upstairs and photograph the boundaries as they exist at that time. Date the photographs and keep them carefully. Take another set of photographs each year from the same place and in that way any alterations can be clearly seen, should a dispute arise. Naturally tact is needed to avoid upsetting the neighbours who may be suspicious. Prevention is always better than cure. If you plan to put up a new fence or wall or plant a new hedge, try to talk to your neighbour about it. In that way, you will hopefully put his mind at rest. When putting up a fence, custom dictates that the posts are entirely on your land and the face of the fence, points to your neighbours. 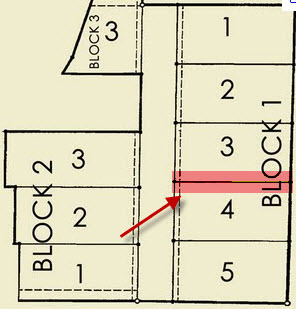 It is worth is giving up an inch or two of your land to avoid it going onto next door and creating a dispute. This is especially so since you will need cooperation to be able to repair the fence from your neighbours land. Ensure it complies with Planning Regulations – ring them first. 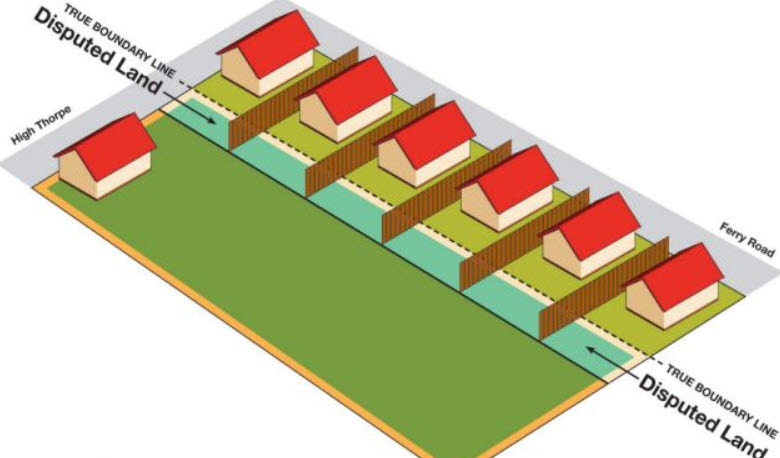 If you are using Larch Lap fencing, where the panels sit between the posts, then make sure that the entire post is on your side of the boundary and that the top strip overlaps the lower strip on the fact which point towards your neighbours. If you are planting a new hedge, then try to plant it at least 3 feet inside your boundary line. It is then far less likely to encroach onto your neighbours property. Try to keep it trimmed to no more than 3 metres in height.